This tutorial is all about how to get phone call alert for website changes. You will be able to easily get phone call notifications or alerts when any changes occur on a website you specify. There is probably no apps, software, or even websites which can monitor website changes and make a phone call to you. But, there is actually a simple method using which you can now get phone call alerts for website changes. It can be done with the help of any website monitoring service and IFTTT VoIP Calls. 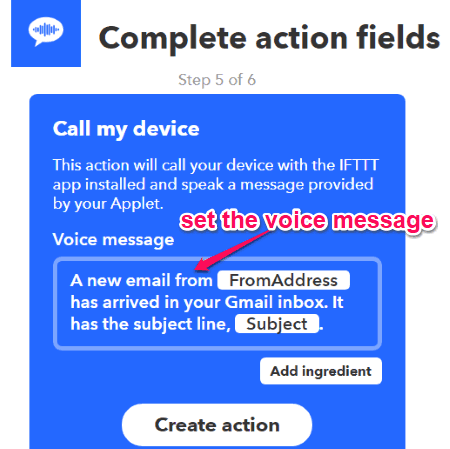 You can actually create an applet by connecting the email service which you’re using to get email alerts for website changes and IFTTT VoIP Calls for getting phone calls. There are many free services available like Versionista, ChangeDetection, etc. which can monitor website changes and send you email notifications when changes happen. 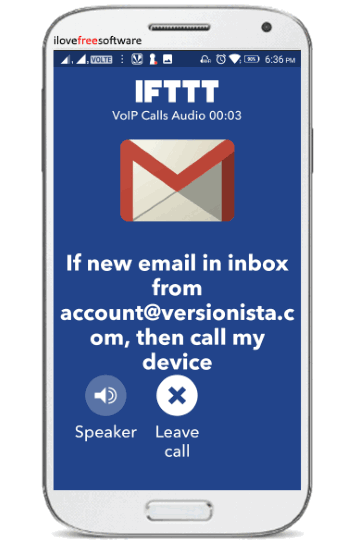 So, in this tutorial, I will use “Versionista” for monitoring website changes and Gmail as the email service. Step 1: To get started, the first thing you would need to do is use any of the website changes monitoring services for your website. So, let say you want to use “Versionista”, then simply open up the homepage and then sign up for a new account. Once you do that, simply enter the website URL which you want to monitor and then hit the “Monitor”. Step 2: After you do that, you can go ahead and enable email alerts for website changes on Versionista. Once you do that, simply specify the time for getting email alerts on your email ID. The emails will be basically sent from “account@versionista.com”. You would need to keep this email ID in mind as it will be required while creating the IFTTT applet. Step 3: When you’re done with setting the website changes monitor, you can proceed to IFTTT to create the applet for getting phone call alerts. 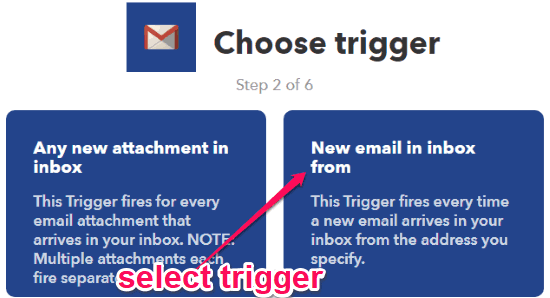 For this, the first thing you need to do is select “New Applet” and then choose “Gmail” as the applet trigger service. Then go ahead and select the applet trigger as “New email in inbox from“. 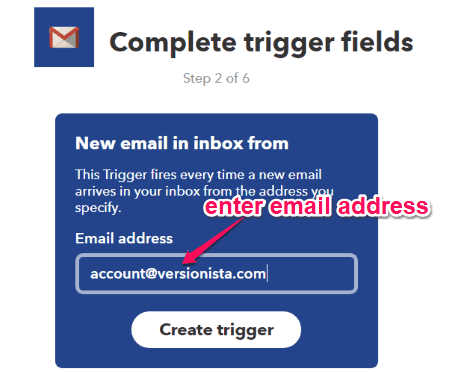 Step 4: Then the “Complete trigger fields” window will appear where you would need to specify the email address which you want to use for the applet. Remember, here you would need to enter the email address or Versionista from which you receive the emails for website changes. Step 5: After you’re done with entering the email address, simply proceed and select “VoIP Calls” as the applet action service. When you do that, you would need to select the action as “Call my device”. After that, it will ask you to define the voice message for the phone call. You can do that by adding various aspects like From Address, Subject, Body Plain, etc. Step 6: Once you’re all set, you can enable the applet. Now, each time any changes occur on your website, you will first receive an email notification and then this applet will run and give you a phone call alert. When you accept the phone call, you will listen to a voice speaking the voice message which you have had defined in the above step. 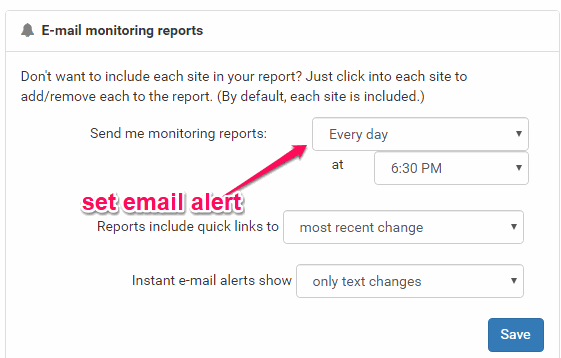 This is how you can get phone call alerts for website changes. The “IFTTT VoIP Calls” service makes it very simple for you to get phone calls each time any changes occur on a website. 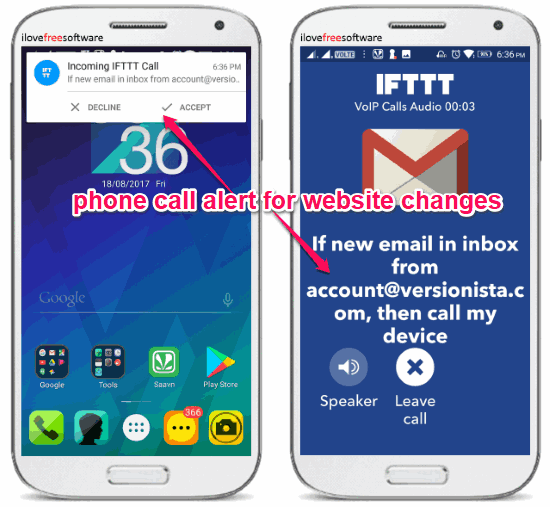 So, go ahead and follow the steps mentioned in this tutorial to easily combine a website monitoring service and IFTTT to get phone call alerts for website changes.